Following are a select few projects Andrea has worked on. If you're interested in hiring her for design, writing, or consultation, please reach out by email. This transmedia campaign reached out to new and devoted fans alike through a series of sensory experiences meant to create the feeling you had truly stepped into the world of Game of Thrones. Andrea Phillips worked with Campfire Media and particularly the stellar creative director Steve Coulson to execute this ambitious and engaging vision with relentless care for authenticity and quality. The project was structured into five lavish sensory experience, each one crafted to convey the feeling that the audience had stepped into the story. To begin with, influencers were sent beautifully handcrafted scent chests that evoked specific locations in the world of Westeros. The program also included virtual experiences: a 3D audio journey through the Inn at the Crossroads that let the audience eavesdrop on conversations and discover their secrets, hopes, and fears; a virtual construction of the Wall, where you could stand guard as a member of the Night's Watch; and Ice and Fire, an iOS app that gave you an exclusive window into locations in the show based on current weather conditions. Finally, for taste, we teamed up with star chef Tom Colicchio to recreate dishes authentic to the story. Lucky fans in New York and Los Angeles were able to taste them by visiting food trucks available for just a few days. These sensory experiences also held the potential for a deeper level of engagement. Each experience included a puzzle to be solved. Dedicated fans could solve all five to earn their Maester's chain by visiting The Maester's Path. HBO asked Campfire to follow up The Maester's Path in the second season with Pledge Your Allegiance, a campaign that encouraged fans to declare their loyalties to a noble house. An exclusive Wondercon event showed the price of disloyalty — attendees lined up for an exclusive green-screen rendering of their own heads on a pike. Fans also submitted tens of thousands of videos taking the oath to join the Night's Watch, resulting in an inspiring remix truly by and for fans. And many of the most dedicated fans made the ultimate pledge — getting the sigil of a noble house tattooed on their skin. Diesel Reboot is a Tumblr-based, collaborative art community launched as a rebranding effort for the Diesel fashion brand. For this project, Andrea Phillips designed the overall interactive structure and established moderation and communication standards. The brand went to Tumblr with a series of missions, asking the community to answer questions or share opinions through art. Moderation was specifically designed to foster a warm and sharing community, and not a competitive one. After each mission, a few submissions were selected for a high-impact installation or display; for example, a full-page ad in The New York Times, or projection on iconic global landmarks like the Colosseum in Rome. The campaign was shortlisted for the 2013 Mashable Award for Digital Marketing Innovator of the Year. Routes was a transmedia educational thriller commissioned by Channel 4 Education in the UK, with additional funding from The Wellcome Trust. It was produced by Oil Productions. Routes launched on Jan. 29, 2009 and ran for eight weeks. The goal was to engage teens, particularly teen girls, with science content. The experience revolved around a central portal site, RoutesGame.com. Routes also made heavy use of blogs, websites, email, and social media to tell the story. Characters had a social presence on Facebook, Bebo, and YouTube, and responded to comments and emails – usually within a few hours. Andrea's role project was lead interaction designer. She designed the structure of the interactive experience, including specifications for the games portal and minigame mechanics; scripted the flow and sequence for all live events; wrote copy for websites and responded to player activity; and defined and tracked social media elements. There were four core elements to the Routes project. Weekly minigames demonstrated scientific processes like heredity and the spread of an infectious disease through sneezing. A documentary piece followed award-winning comedian Katherine Ryan as she had a DNA test performed and grappled with what the results meant for her and her future children. An alternate reality game allowed players to help teenager Rachel Burren and journalist Matt Blacker solve the mystery of why bioscientist Marcus Schoenberg – Rachel’s uncle – was murdered. And weekly recap webisodes covered the events in the alternate reality game, to make them accessible for a wider audience. The project was an unimitigated success. The videos received over half a million unique viewers in the first year, and the minigames were played over 23 million times. Better yet, 40% of players were in the target audience — teens in the UK. Throughout the experience, players were given the opportunity to engage with the content and story on several levels, as much or as little as they chose. Routes was launched as a traditional games portal and documentary. The characters of Matt and Rachel attended the launch party in-character; they each had a web presence established well before the run of the game. During the party, Rachel discovered that her uncle, Markus Schoenberg – one of the science advisors for the Routes game portal – had been murdered, launching the murder mystery component of the experience. In real time and via several media, Rachel and Matt investigated Markus’s death. The community of players helped them translate Portuguese police reports, infiltrate an unscrupulous private security company, help an informant escape kidnapping, and more. Ultimately, they pieced together the facts: Markus had stumbled on a plot in which the Prometha, a bioscience company, was paying a field agent to obtain illegal DNA samples of protected plants and animals from Brazil. This agent’s actions inadvertently wiped out an indigenous tribe, the Murutaibo, by infecting them with measles. When Markus found out, he was killed to keep the secret. In the experience’s finale, players participated in live chat and watched security camera footage in real time as the characters and a select few players broke into Prometha’s labs to obtain concrete proof. Perplex City was a two-year treasure hunt where the story played out in real time, with the audience directly influencing events in the story world. Players purchased packs of puzzle cards to get deeper insight into the world and story, and raced each other up the leaderboard to earn points and glory. 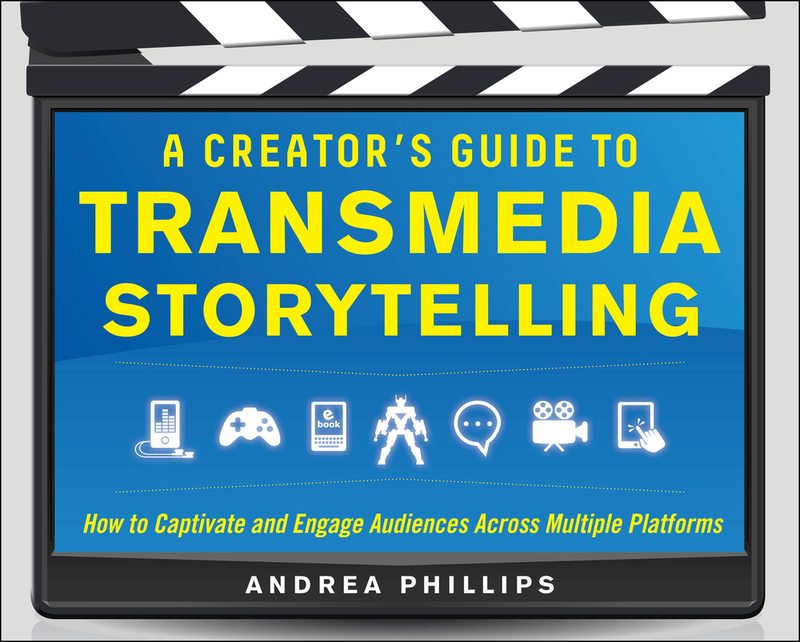 The project ultimately included several interactive characters, dozens of web sites, and over half a million words of content. The first season concluded in 2008 when player Andy Darley unearthed the "missing" Receda Cube from its hiding spot in the woods outside of London and won the £100,000 prize. The story took place in Perplex City, a place that prized intellect and problem-solving ability above any other trait. The city existed only by its digital footprint, beginning with the Sentinel, which covered political news, celebrity gossip, and more. Fans could write letters to the editor to be published, and even a guest column. The city wasn't just a newspaper, though. It had its own subway and maps, a university, the record label Hesh Records (that released a real album), trendy restaurants and apartment buildings, and more. Fans were so engaged by the two-year project that they created a wiki with over a thousand pages, wrote a book when we told them to, folded 333 origami cranes to send to our main office when a character was murdered. Players even attended live events in New York, London and San Francisco where they participated in solving intensive group challenges, were spooked as all their phones all rang at once, and even chased a spy through the streets — losing him only when he escaped in a black helicopter. ...and, of course, the fans bought millions of our collectible puzzle cards. This video was the start of a pre-launch campaign to build awareness and excitement for the game, and serves as an excellent example of the complexity of both the whole game itself, and the variety of creative and production tasks Andrea Phillips performed over the course of the project. Blank spots in the video were filled in over time with more dates and newspaper names. Each newspaper ran a classified or display ad with a piece of a fictional news article. The campaign culminated in the launch of a fictional news site, creating a persistent virtual world in which much of the campaign unfolded. Andrea wrote and recorded the voiceover for the pregame video, planned and purchased the media buys, designed the actual ads, and wrote the majority of the copy for the site this campaign launched, the Perplex City Sentinel, over the two years that it was live. Perplex City was a critically acclaimed project, and collected a very respectable number of accolades. Frozen Indigo Angel, an interstitial episode of Perplex City, was nominated for a Radio Academy Edge Innovation Award in 2007. America 2049 was a Facebook-based human rights game meant to put a face and historical context on issues such as human trafficking, abortion rights, and racial discrimination. Andrea Phillips collaborated with Heidi Boisvert to write and execute this innovative experience on behalf of Breakthrough, a global human rights organization that uses the power of pop culture to advance equality, dignity, and justice. America 2049 is a groundbreaking alternate reality game on Facebook that presents a near-future America at a dangerous crossroads. Human rights are in peril; democracy is on the brink of destruction. Players found themselves in the role of an agent of the Council on American Heritage. Tasked with the capture of a presumed terrorist, they were sent into high-risk situations that challenge you to ask hard questions and make difficult decisions about how to build a better future. America 2049 is the first Facebook game to integrate the social networking platform with many other resources, online and off: multimedia and interactive features, historical artifacts, clues planted across the Internet and real-life events at leading cultural institutions nationwide. The game features appearances by Harold Perrineau (LOST), Victor Garber (Alias), Cherry Jones (24), Anthony Rapp (Rent), and Margaret Cho (Notorious C.H.O. ), who generously donated their time to help put a face on complex issues. The game was nominated for a Games 4 Change award and a Katerva award.
" America 2049 is a testament to how Facebook gaming has expanded far beyond the scope of watering your neighbors’ corn crops on FarmVille." "America 2049 may eventually become a quintessential example of an online advocacy campaign promoted entirely through social gaming." "Facebook game America 2049 is activism as entertainment, education as political thriller." "When was the last time you played a really engrossing video game that didn’t involve shooting zombies or controlling irrationally angry birds? Something that took a little more brainpower, with codes, secret videos and Easter Eggs located both on the Web and in real life ? Now, when was the last time you heard about one of these games existing on Facebook? Probably never, which is what makes America 2049 such a compelling experience." Floating City was a browser-based trading and set collection game created with Thomas Dolby to promote his first studio album in twenty years. Players traded with one another to complete sets of items mentioned in Thomas Dolby songs. They could also participate in collaborative storytelling; fans could tell their own stories of life as the captain of their own ship, and even patent "inventions," by submitting sketches or plans for devices assembled from available materials. Throughout the game, the team worked to adapt the story and platform to the wishes of the audience, sometimes quite aggressively. Many of the game's most beloved moments came from players, not from the development team. For example, one item available in the game was a doll. One player took on the personality Haunted Dolls, becoming the creepy embodiment of all of the dolls in the game — and the rest of the community took it in stride, so the fact that the dolls were all haunted and linked together became an accepted fact of the world. Another common item in the game was a moth. Players joked that the moths were popping up so frequently that they must be multiplying. The team decided to take the joke a little further, and implemented code to make the moths reproduce. If a player had two or more moths in inventory, they'd get another one every 16 hours. It took the players several days to notice, but once they did, it launched a story arc including the moths devouring other inventory items, a quarantine, and ultimately a moth plague that made the species highly endangered — but none of it would have ever happened without listening to the audience. 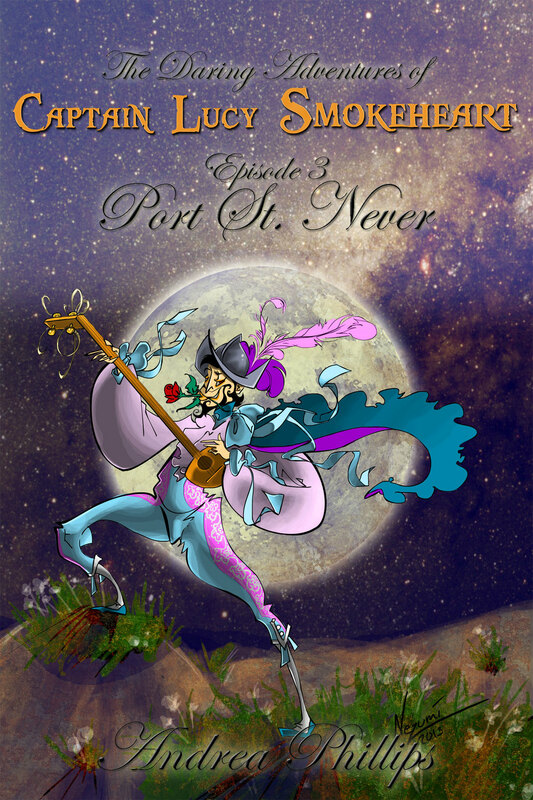 The Daring Adventures of Captain Lucy Smokeheart is a year-long pirate adventure serial told in monthly episodes. It's also a treasure hunt. Each month a new short ebook tells you of Lucy's latest exploits -- and gives a clue to her treasure. The ebooks are now available through multiple channels, including Amazon, iTunes, and Barnes & Noble. The Daring Adventures aren't just a series of short ebooks. Each episode includes a visual puzzle in it. When you solve the puzzle, you can go on the Lucy Smokeheart website to check your answer. If you're right, you'll receive a page of the Captain's log kept by Lucy's brother. By the end of the story, this log will tell you how to find the (virtual) treasure for yourself! The series also features monthly Google Hangouts where the audience can ask for help solving puzzles, or just share their thoughts on where the story has gone so far – and where they want it to go next. The project had its genesis in a Kickstarter campaign which ultimately collected $7701 from 251 backers. An ancillary video series, 30 Days of Piracy, supported the fundraising effort. Lucy Smokeheart is a lighthearted pirate romp about a pirate captain's journey to find her missing brother and his lost treasure. So far, the story includes carnivorous mermaids! Socialist lizard-people! Enormous amounts of chocolate! The Royal German Marinological Society! Go fish! And much, much more.